I figure.... if the bow was free... the worst your going to end up with is a $75.00 bow, and who knows till there's hair on it an you play it? 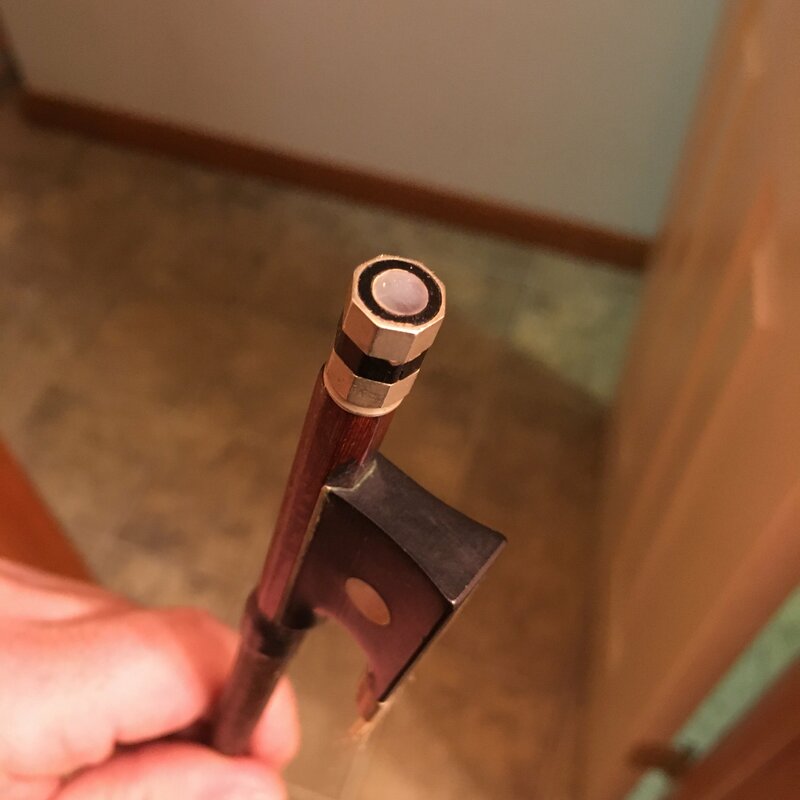 Best case, nice backup bow, worst case, local school program gets a free student bow. I don't quite understand the question. A bow has absolutely no value if it can't be used (given it's not a valuable antique to begin with). 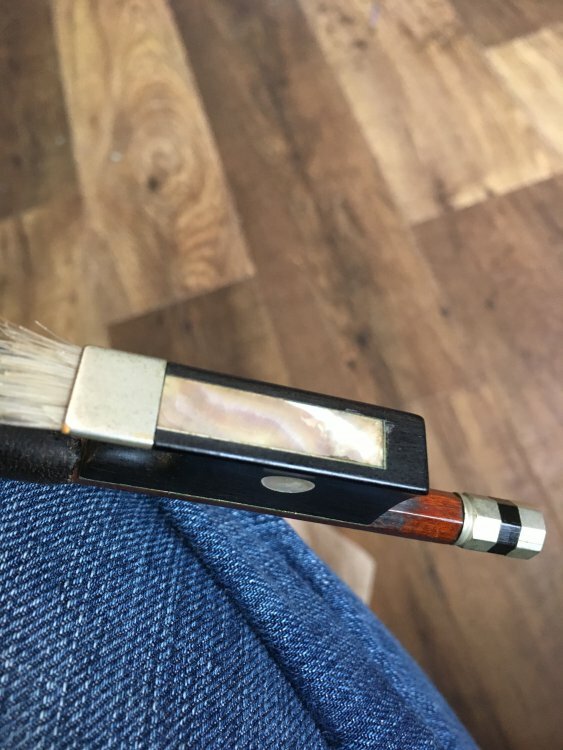 If it is a good stick, then it needs hair. 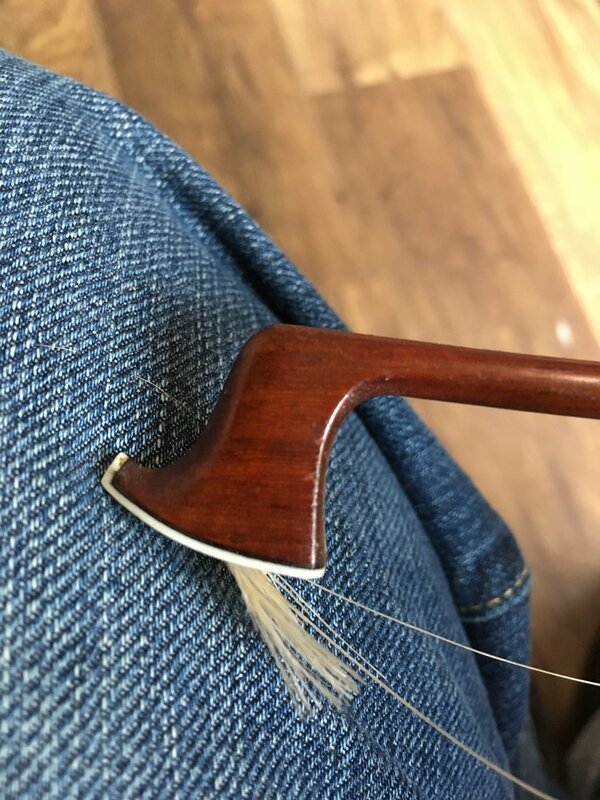 All playable bows need to be rehaired as part of maintenance regardless. So - you rehair it. In this instance the hair isn't value added - it's just necessary. FWIW - the bow looks fine. AND - if a bow is playable, it doesn't matter if it' was free, super-cheap, or super-expensive - it will need to be rehaired. 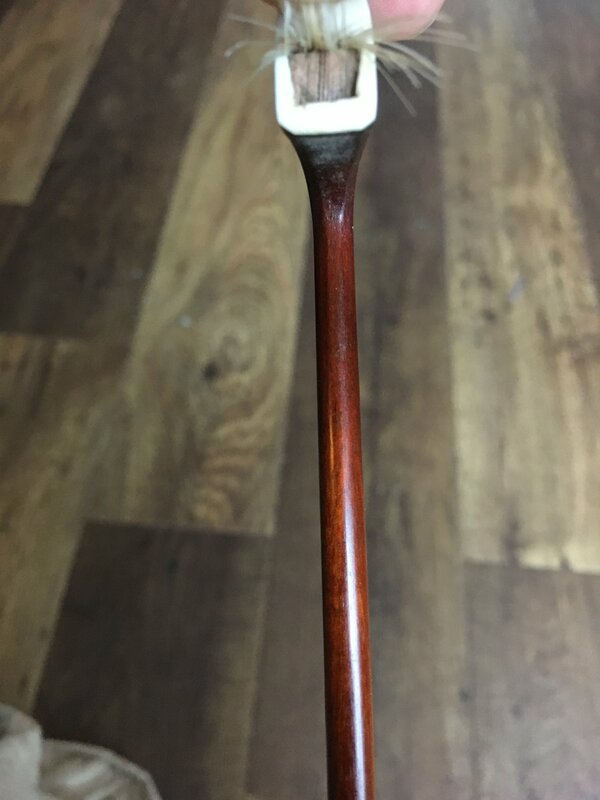 My favourite viola bow is a 'better' bow I ordered direct from China! No middleman! It's great! 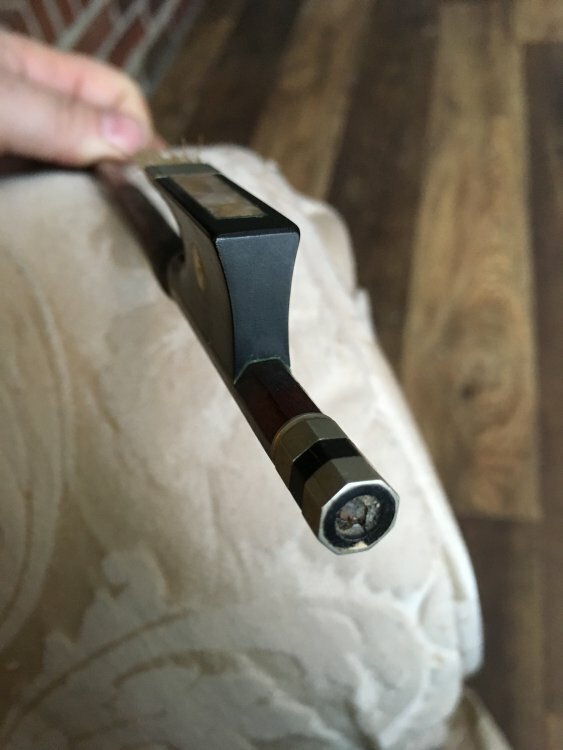 Even the rehairer said it's a great stick. When I use it, I'm not constantly thinking 'OMG - I rehaired a cheap bow from China'...I'm just happy to have it! 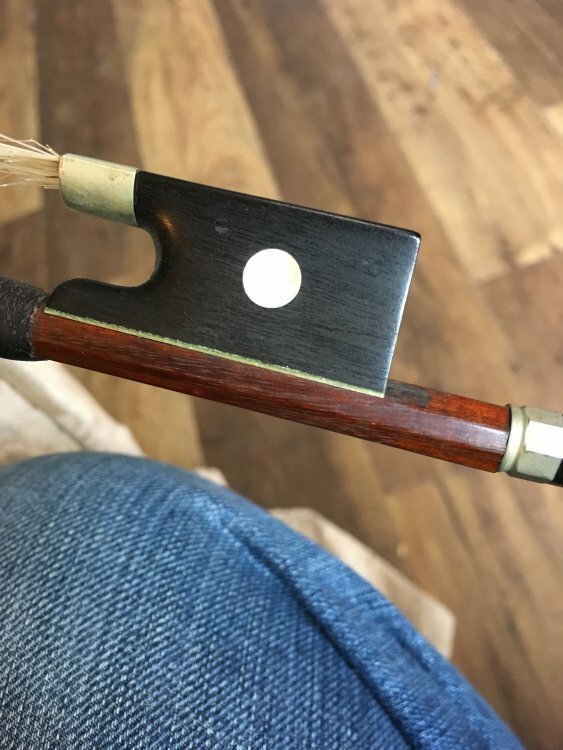 I’d be interested to know if this bow is anything... it has remarkable resemblance to my own wood bow, frog style and metal slide lining too. 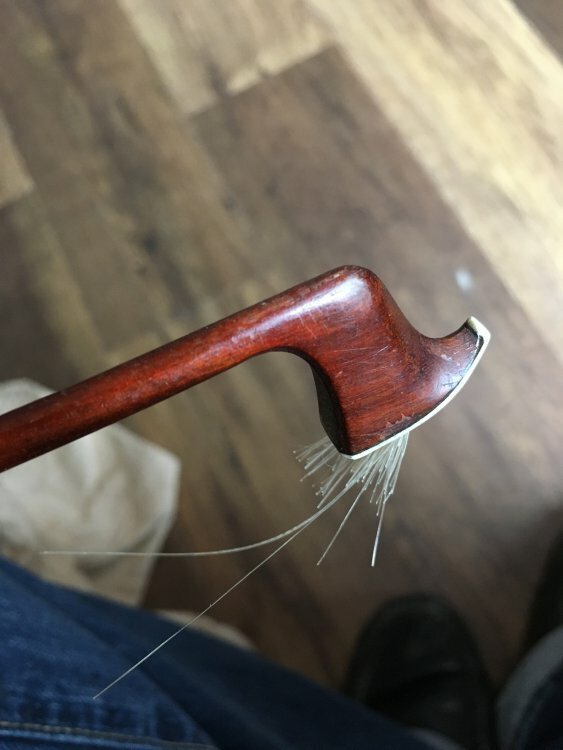 I had my luthier remove the tinsel and put on silver winding for weight. 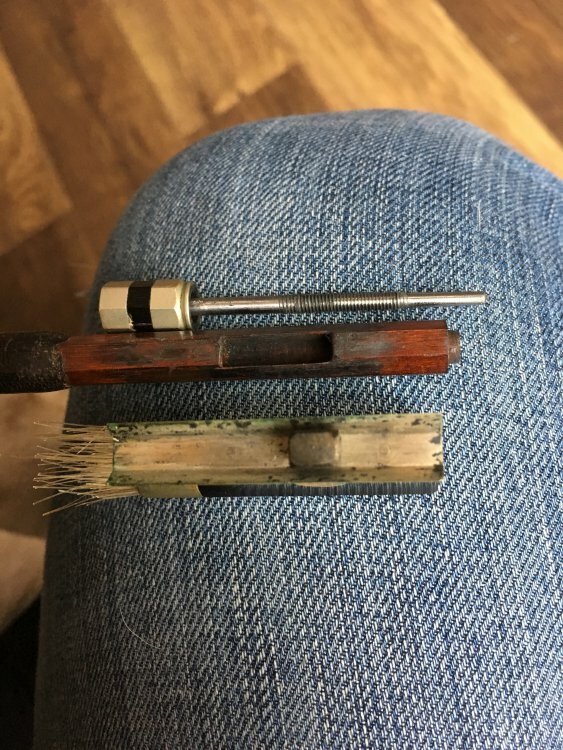 He said it is likely a standard German workshop bow, didn’t seem that interested in investigating, but I like the weight at 57 grams (after the winding change). Ha ha ok rue I will rehair it! Although the vast pile in the closet will have to wait;). don't quite understand the question. It's about the "commercial" or "monetary" value, not playability. Even a broken Tourte can have value, as you noted, and there can be hairless bows representing a value just for their potential being rehaired at a later point (or never ). 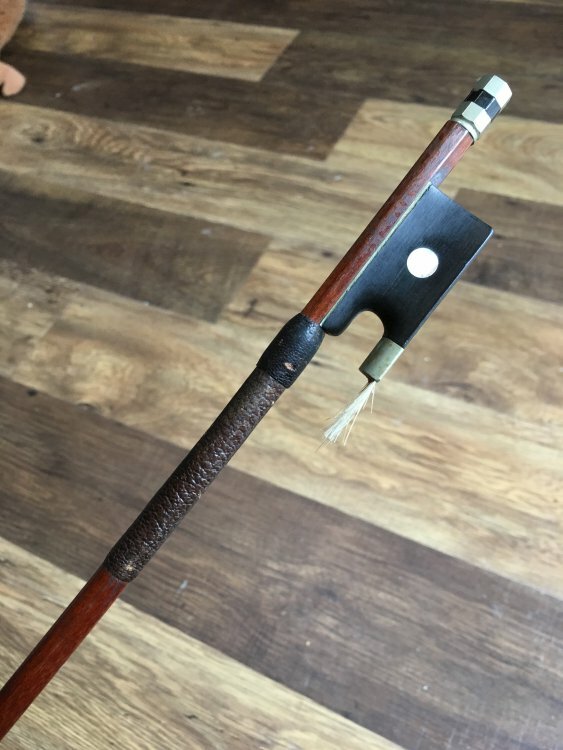 The OP seems to be an interesting Saxon trade bow from roughly the 2nd half of the 19th century and made of pernambuco. Though it's not of the finest quality (heel-less "half mounted" frog and fast made head) it might be "worth" a rehairing. 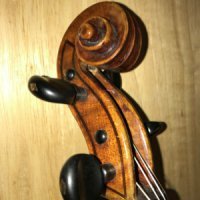 Of course there are many nickel mounted bows being not "cheap trade" - the actual Tarisio auction has some, including two Peccattes (Dominique and Francois). I would take a chance on it, if its as sound as you say. Is it straight and how is the camber? Re-hairing alone may not make a bow playable, and the cost of re-cambering and re-hairing may be more than the bow is worth. 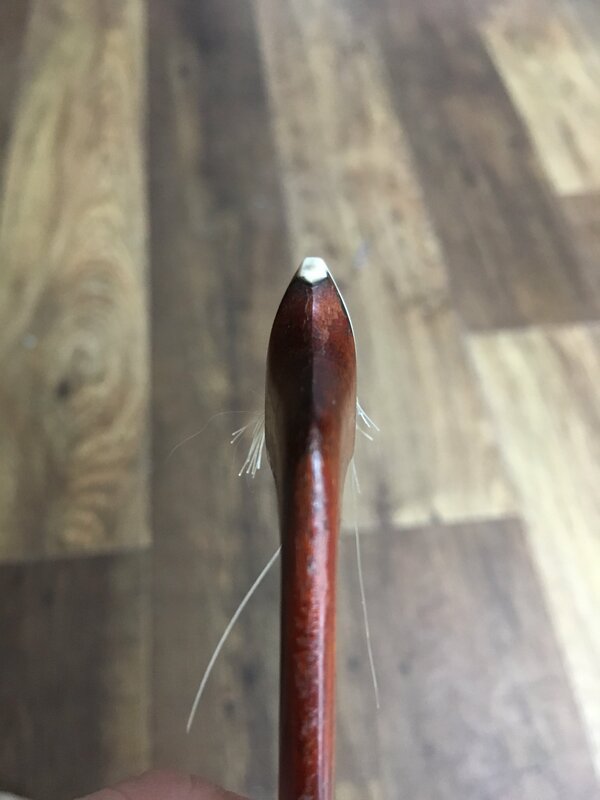 That's quite true; even it's usually possible to see if a bow needs bending and re-cambering when the hair are attached (they usually all do need it), not to mention cleaning, lapping, face plate or pearl slide things etc. etc. If a bow really is "worth" all these actions is a quite subjective judgement. Last year I worked on a tradey nickel mounted Markneukirchen Abeille wood bow, which most valuable features were that it was about 160 years old and had a nicely decorated frog, like many of this kind have. After making all the usual corrections I decided that it wasn't worth to make a new face plate (what would be necessary in my eyes) and sold it for a sum not even covering what I did before, 150 Euro or so. Now it turned out that the buyer brought it to a certain East German expert, who certified it as being from the workshop of (blabla) Knopf and it's actually offered for a good four figure sum in Ebay, without altering anything else. In my eyes it wasn't (and still isn't) worth to pay the costs of a fancy certificate for it, which doesn't add a single cent to the value IMO, but obviously others had a different look on it.